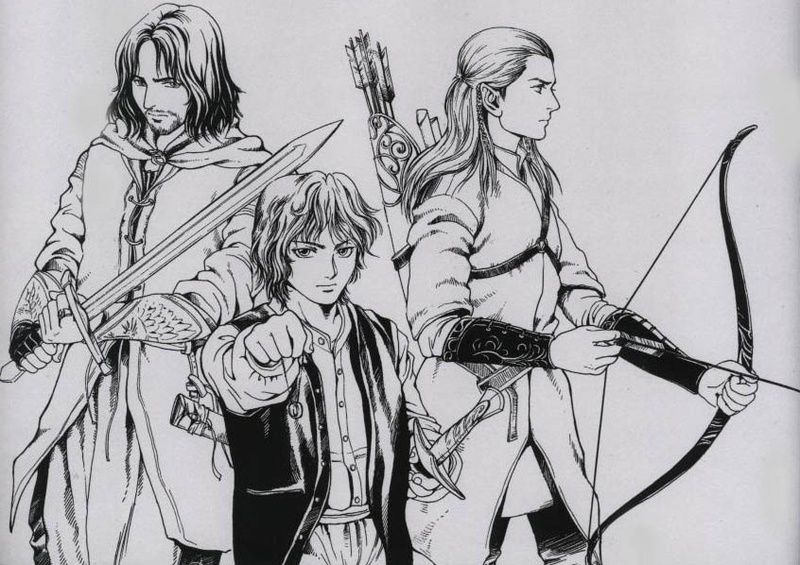 Aragon Legolas Frodo. This is a drawing of Aragon, Legolas protecting Frodo.. HD Wallpaper and background images in the Il Signore degli Anelli club tagged: the lord of the rings drawing aragon legolas frodo. This is a drawing of Aragon, Legolas protecting Frodo. This Il Signore degli Anelli fan art contains anime, fumetti, manga, and cartoni animati.